On 25 Jan every year, haggis sales soar all around the world as people sit down to celebrate the life and work of Scotland's national poet, Robert Burns. If you're in Newcastle or the surrounding area, there are a number of events planned throughout January, proving that you don't have to be in Scotland to raise a toast to the bard. At the Centre for Life, you'll be treated to a Burns Night Supper and Ceilidh (27 Jan) with a difference. As well as a menu featuring whisky, Scotch broth, haggis bon bons and cranachan, ceilidh band Angels of the North will supply the tunes. But you'll get more than just your traditional ceilidh. The band will also play songs for science ceilidh dances, which combine traditional dance movements with steps that illustrate facts about the world around us. At the Seaton Delaval Arts Centre in Whitley Bay, the annual Traditional Burns Night (28 Jan) returns for an evening of entertainment, packed with a three-course meal, whisky and songs and speeches. The Beadnell Sailing Club on the Northumberland coast will also be throwing a Burns Night Supper (28 Jan), following the success of last year's event. The City of Newcastle Golf Club's Burns Night 2017 will take place on the same evening, with live entertainment until midnight, a piper and a traditional Burns meal. 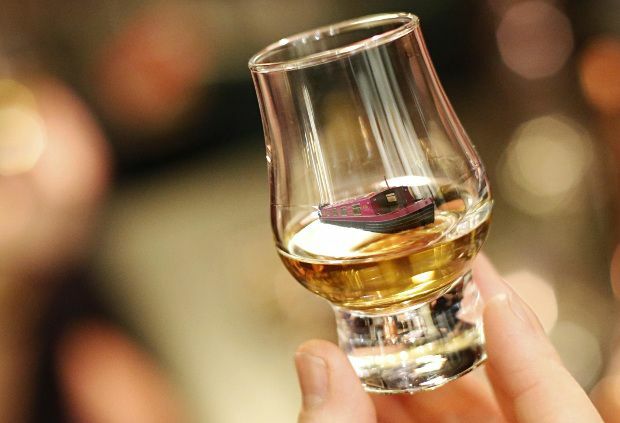 For an evening dedicated to whisky, head to Blackfriars for the Burns' Nightish Dinner (20 Jan), where Eddie Ludlow, founder of The Whisky Lounge and Keeper of the Quaich, will be on hand to give you information on what you're drinking with each course and why. The Newcastle Falcons will also be putting on their annual Burns Night celebration (21 Jan) at Kingston Park, with a live band and DJ thrown into the mix. The Waterstones in Newcastle will be hosting its very own Burns Night (25 Jan), complete with haggis, whisky and a night of Burns' finest poetry. Over in Sunderland at the Stadium of Light, a gourmet Burns Evening (27 Jan) awaits you with a traditional five-course dinner with wine and a variety of Scottish performers throughout the night, including pipers and dancers.